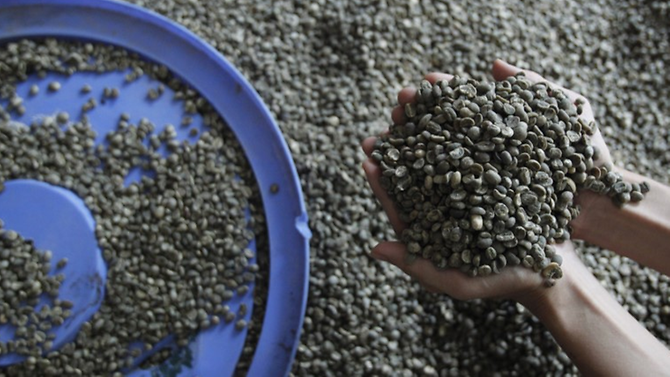 The rat droppings were found near the coffee bean processing area. A team from North Seberang Perai district health department, Domestic Trade and Consumer Affairs Ministry and Penang Islamic Religious Department, following a tip-off, raided the coffee factory in a joint operation on Thursday, 17 January. According to NST Online, the situation at the coffee factory was "disgusting". Authorities checking the coffee factory, which is located in Taman Industri Teras Jaya. "It was so gross because the rat droppings and the coffee beans look almost the same and they were found near the coffee bean processing area. "We had a tough time to determine if the droppings had mixed with the beans, but they are found near the wall," NST Online quoted a source as saying. Seberang Perai Utara District Health Office senior assistant health officer (environment), Mohamad Amin Ahmad Zubir was quoted by Malay Mail saying that the factory was ordered closed for 14 days and was only allowed to perform cleaning work. "The closure notice today was under Section 11 of the Food Act 1983 whereby the premises flouted the food safety regulation and was directed to shut down for 14 days starting today. If any processing work is found, they can be charged in court." File photo of a man holding coffee beans. Meanwhile, Malay Mail also reported that the Certificate of Responsibility on Food Safety (MeSTI) obtained by the factory has been suspended for three months, other than the halal status it received, until it was approved to resume operation. He was attacked by a rat while watching a two-hour movie at Growball Cinemax in KK. It was officially announced on 16 January. The proposal is based on a study of the juvenile curfew enforced in Iceland.